This entry was posted in Bram Stoker, Clare Langley-Hawthorne, classic literature, Dorian Gray, Dracula, Fox, Frankenstein, historical, Jordan Dane, Mary Shelley, Oscar Wilde, Penny Dreadful, Ripper Street, Showtime, Sleepy Hollow by Joe Moore. Bookmark the permalink. I never considered writing paranormal, but Buffy was a hoot and perhaps set the stage for my creation of the zombie legal thriller genre. It just seemed like the right thing at the right time. Gsme of Thrones is an international phenomenon. Wouldn’t you like to be George R R Martin? What I’m finding with these shows is insight into why I’m drawn to these very different genres as a reader and/or viewer. Elements are universal to good writing. And they give me a nudge to try something new. We can get inspiration from anywhere. At least this point in the series, I would agree John. 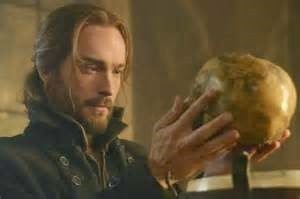 I absolutely love Sleepy Hollow for the reasons you mentioned. I love how they mixed all the history together with the legends and made the absurd work. I really need to watch the other two, particularly Ripper Street as I think it’s on Netflix. Hey Stacy. Thanks for stopping by TKZ & joining in. There are some crazy cross genre TV shows out there. It’s the new black, but very inventive. YA has been doing this for awhile & finding much success, as long as the elements are grounded in romance or the strong relationships between the characters. This creative thinking in very encouraging to me. I’m dipping my toe into historicals in a short story but the shows I’ve mentioned (plus the upcoming Outlander series on TV from Diana Gabaldon) have fueled mu push. When Little Women, Pride and Prejudice, Wuthering Heights, David Copperfield, and Jane Eyre were written they weren’t historical novels or period pieces, they were contemporary literature that has withstood the test of time. But historical literature *can* illuminate the past – if it’s written with care and respect. Pirates wouldn’t say “OK,” an Irishman wouldn’t sing “Danny Boy” in the 19th century, etc. Ha! Good point, John. Maybe I’ll add a dance number in my story & make it a musical. It could happen. I love historicals as well, and read a ton of regency romance and historical novels. I love it when they make things exciting and interesting. I enjoy Gothic Horror and Steampunk for those reasons, with the added benefit of a fresh new take on how things might have been. I feel more comfortable writing Steampunk than I would a straight Regency novel because I feel less intimidated by the amount of research. I’ve done a fair bit of research into the era, but since I’m changing a lot of what really happened, I don’t feel like I have to get every tiny detail historically correct. 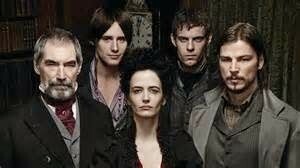 I’m glad to see that Penny Dreadful is good! I was worried they would be too tongue in cheek with it, like they were with the Sweeney Todd remake. Sounds like we have much in common, Elizabeth. I love evocative prose with atmosphere yet without too much unexplained magic. I want the feeling that my story could almost happen. That makes hair standpup on a reader’s neck & look under their bed. You will love Penny D. Film feature quality. No Tim Burton in sight. Try it & let me know what you think. Elizabeth, I’ve published three regency novels, not typical because they are a bit darker than the the usual regency romance. But I had to laugh because I want to write some Steampunk and am intimidated by that. 🙂 I’ll do it anyway. Great post,Jordan, I love Ripper Street and I can’t wait to see Gabaldon’s Outlander series on the screen. Maybe that will give historicals a boost. 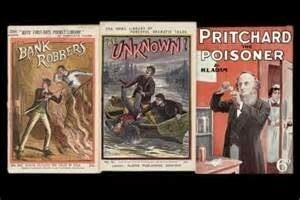 Ripper Street fans may be interested in this article. Thanks, Jillian. The gentile romance of a different time period really appeals to generations of readers/viewers. Ripper Street writing is a standout. *&%$! Foiled again. I recently moved to Puerto Rico, and I’ve been having issues watching TV shows online because of “region” restrictions. So I’ll have to find another venue for watching it (we don’t watch enough TV to have Cable. Just Netflix and Hulu). It looks great, though, so I’ll make sure search Amazon or iTunes for the episodes. I totally agree about the magic thing. I’m a weirdo in fantasy because I want my magic to make sense and feel like it could happen in real life. The only time I didn’t write magic in a knowable fashion was for my dark fantasy serial, and then I knew what the rules were, but the characters didn’t for a more creepy effect (much like they did in the early Gothic horror novels). Jillian, thanks for the heads up on your novels! I’m always on the lookout for a good historical. I’ve really enjoyed the Summerset Abbey series, as it scratches my Downton Abbey itch. Try Penny D on Showtime’s online website. They could post eps there. Not sure. Amazon Prime & Hulu may get it eventually, but it’s worth checking out. I KNEW you like that “could be real” paranormal or fantasy. I like things that tap into our natural fears, like urban legends, ghosties, or mystical/spiritual connections like VooDoo or Native American beliefs. Thanks for chatting. I watch very little TV. I have enough influence from all the little people in my crawlspace, Leonard and the muses going in and out and lately a troupe of medieval jugglers showed up out of the blue (I think Leonard left the time machine open last time he went out). That said, History’s VIKINGS, a Korean War drama called Road No. 1, and yes Game of Thrones, are the only series I’ve gotten into in the past few years. We don’t even have cable or satellite TV, but only watch online via netflix or hulu. The shows I watch tend not to be much of an influencer of what I write, but rather a distracting break from writing. Although I will say that after enjoying a lot of Terry Pratchett’s books in audio as well as a couple his movies has my mind moving such that I might end up doing some works along those lines with starring some of my aforementioned house guests. Just gotta finish the series I’m on now first. I’ve always said that being in your mind could be frighteningly fun, Basil. Consider donating your brain to science, preferably after you’re done using it. Happy writing, my fine friend. Ooh – haven’t seen Penny Dreadful yet but it sounds right up my alley. For some reason I couldn’t get into Ripper Street but Sleepy Hollow is lots of fun. I get inspired all the time to add to my historical writing bent though I think it would be hard for me to veer to much towards horror as I am a wimp at heart! Ripper Street had an excellent season 2. For season 3, they are broadening their location setting & bringing in The Ripper. Should be good. The humor that Tom Mison brings to Sleepy Hollow really makes the show work. Love him. I have to reign in my horror, but you can dabble in something more visceral by darking your setting & tension/fear factor. Horror isn’t always graphic violence. Thanks Clare. Try Penny D. You’ll love it.